Just FYI the stuff that was recorded at the LA event was from the PS4 Pro. Okay I'm really pleased with these Raiden finishers. Much better than MKX. I was thinking that with all these brain Fatalities, this game could add Kenshiro as a character. Normally, I'm not sure Kenshiro could work because his specialty fighting skill makes him over powered, but I think even in most of his fights he makes blood or flesh explode off people's limbs before going for the finisher making their brain explode out of their head. The other issue might be he simply outshines Johnny Cage. A lot of talk on twitter yesterday because someone made some fan art showing Terry Crews as Jax, Ed Boon and Crews tweeted back and forth about wanting to make it happen. I really hope it doesn't, I like Crews but he's just in too many places these days, much like Kevin Hart and the Rock he's overexposed IMO.It's enough that he's already part of CD3 and will likely be marketed heavily in that game, we don't need him in MK11 too. I'd much rather they scan the guy who originally played Jax in MK2, he still looks great and they could always do some work to make him younger as they've done on some of the models we've seen already like Sub-Zero who has a younger face and an older looking one. If they tone down the "Woooh! ", I wouldn't mind Terry. I love the "Carl Weathers" version of Jax in MK X as well. That's the thing, that's like all that guy does is scream and be over the top, the videos for CD3 featuring him are annoying AF lol. I disagree' but I love TC, lol. Terry crews is my favorite mountain of ebony muscles. I'd rather see the original guy from MK2 OR Michael Jai White. The Kombat Kast originally scheduled for tomorrow has been moved to Tuesday because of severe weather. Yeah, the studio is near Chicago and it's going to be pretty rough. the high temp tomorrow is supposed to be 12 below in that area so I'm guessing they don't want their employees out in that kind of weather. 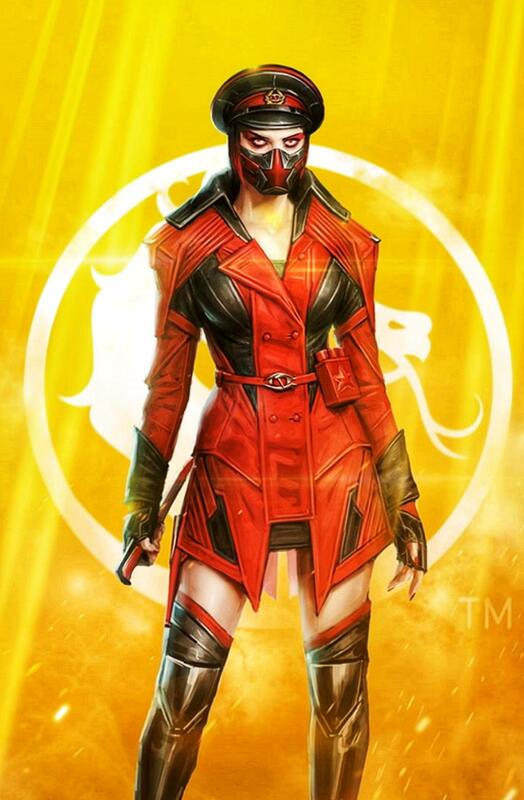 Exclusive skin for Brazil, they made an Exclusive Russian skin for Skarlet as well. I'm guessing this stuff will be available everywhere else at some point, they did the same thing with some MKX skins. I guess it was also confirmed (Konfirmed) that the boss Kronika will not be playable. Skarlet keeps making me think of when I played Blood Omen 2 drawing the blood out of people. Loved that game back in the day, I'd love a modern remake or sequel. Playing as Kain was awesome. So excited to play Raiden in this. I did enjoy playing him in MKX and INJUSTICE 2. His new Brutalities and attacks look great. Just a reminder, the kombat kast is tomorrow at 1:00 PM pacific time for anyone interested in watching it, they are supposed to reveal Kabal. There is supposed to be some kind of reveal on that streaming Xbox show that MS does too. On another note guess this is old but I just saw it for the first time today, it's hilarious.